Half (51%) of people invited to bowel screening for the first time in 2015 didn’t take part, according to Cancer Research UK. Averaged figures from 2010-15 in England showed that those from deprived areas were less likely to participate (43%) than those in wealthier regions (57%) and more women (56%) than men (47%) returned samples from the screening kits sent out in the post. People who lived in ethnically diverse neighbourhoods were also less likely to take part (41%) than those who didn’t (56%). 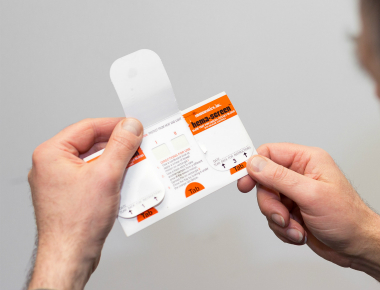 In May this year the government announced plans to begin the roll out of the new bowel cancer screening test, Faecal Immunochemical Test (FIT), in autumn 2018 in England. FIT is easier to use than the current screening test and if set at a more accurate level, it could detect more cancers earlier when there is greater chance of survival. It is also easier to use than the current test as it only requires one sample instead of three, and has proven to increase uptake. Deborah Alsina MBE, Chief Executive of Bowel Cancer UK, says: “These findings are deeply concerning as we know that screening is the best way to be diagnosed early, when it is more treatable and curable. Quite simply, bowel cancer screening saves lives. Join us as a campaign supporter and help us to improve early diagnosis and access to best treatment and care for all those affected by bowel cancer across the UK.